Wolves of Summer begins in the immediate aftermath of World War II, as a group of boy soldiers flee from the ashes of Nazi Germany. Trained to choose death over surrender, these guerrilla fighters call themselves Werewolves, and were part of a Nazi indoctrination scheme to forge a force of elite commandos, one that would operate behind enemy lines as the Allies advanced through Germany. Heavily armed and trained to kill, these children are forced to survive in the wilderness as the regime that honed their skills crumbled. I read this comic under the assumption that this premise was pure fantasy. But no, there was an actual Operation Werwolf, launched by Joseph Goebbels; and like so many outlandish Nazi schemes, it had greater value as propaganda than augmenting the Third Reich with a breed of super-soldier. It’s also been used as a source of inspiration in numerous genre works, apparently, including True Blood and Moonraker. But rather than take this historical curiosity and tread the genre route, Tony Keaton instead brings his plot forward to 70s Chicago, where Johnny, the sole surviving member of the group, still struggles with the horrors of his past. Isolated, suicidal and enduring a humdrum existence in a meat-packing plant, Johnny is perpetually haunted by the events of 1945, which simultaneously unfold as Keaton’s narrative flitters between Johnny’s adult misery and the (presumably) horrific events that followed the boys’ exile into the German wilderness. Sombre and harrowing, Wolves of Summer is a class act. Andrew Herbst’s art evokes the likes of 60s underground artists and their modern counterparts such as Daniel Clowes. Herbst manages a subtle feat, in that his art style suitably depicts both the wild Hitler Youth’s initial “adventure” and Johnny’s longing for redemption; it’s when these two disparate eras begin to seamlessly intermingle that Wolves‘ storytelling is at its most powerful. 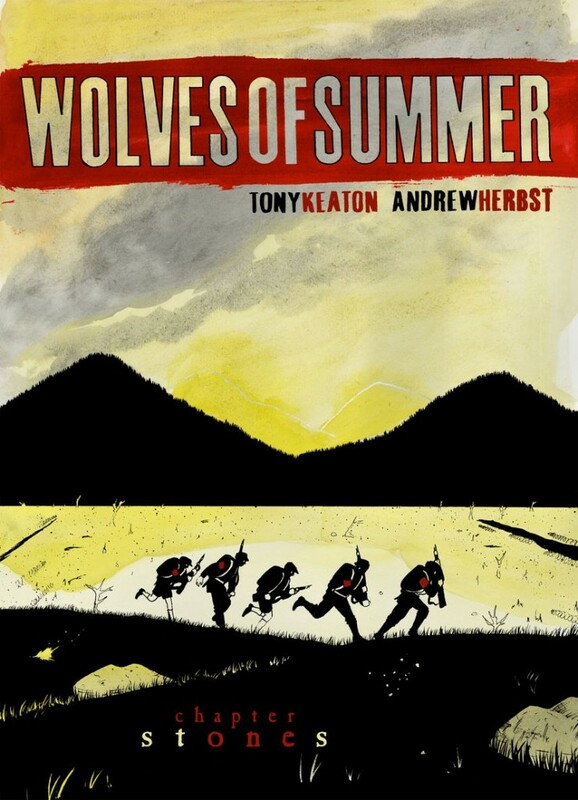 I have no idea where Keaton and Herbst’s 6-part miniseries is heading, but Wolves of Summer has the potential to be something truly special. Check it out. 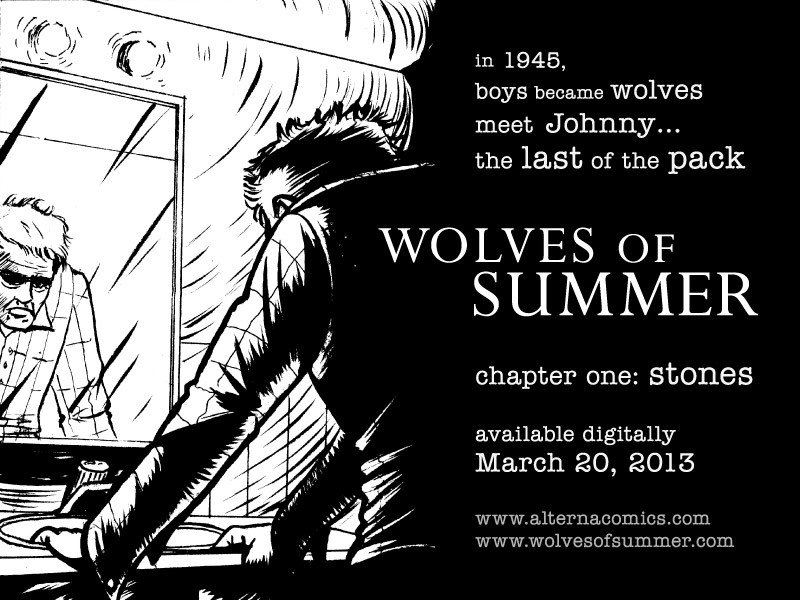 Wolves of Summer is available now from ComiXology. Visit www.wolvesofsummer.com for further information.